The hard thing about buying furniture for kids is that they outgrow it so quickly and you eventually have to get rid of obsolete furniture and buy additional items to accommodate their expanding needs. 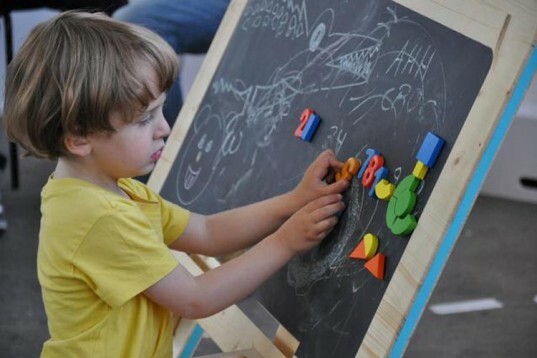 Guillaume Bouvet, a designer and carpenter based in Lyon, France, wants to break this cycle of purchasing and waste and has therefore created a desk that you won’t have to toss because it adapts to your child as he or she grows. According to Bouvet, the desk can be customized for users from 4 years of age all the way up to 77 years of age! Made out of birch plywood, the AZ Desk has four settings to correspond with your child’s stages of growth. There is a setting for 4 to 6 years, one for 6 to 8 years, one for 8-10 years and an adult setting for kids over 10 years of age. The AZ Desk hasn’t entered into production yet. Bouvet needs to secure 30 pre-orders to start his first production line with the Jura, a manufacturer that uses only sustainably-sourced wood in their facility. To get this first set of orders in, he’s begun a ulele campaign. Each of the first 30 desks are priced at €430, discounted from the public price of €590. The proceeds from the sales will go towards manufacturing two prototypes and to launch the first production line of 50 units. The hard thing about buying furniture for kids is that they outgrow it so quickly and you eventually have to get rid of obsolete furniture and buy additional� items to accommodate their expanding needs. Guillaume Bouvet, a designer and carpenter based in Lyon, France, wants to break this cycle of purchasing and waste and has therefore created a desk that you won't have to toss because it adapts to your child as he or she grows. 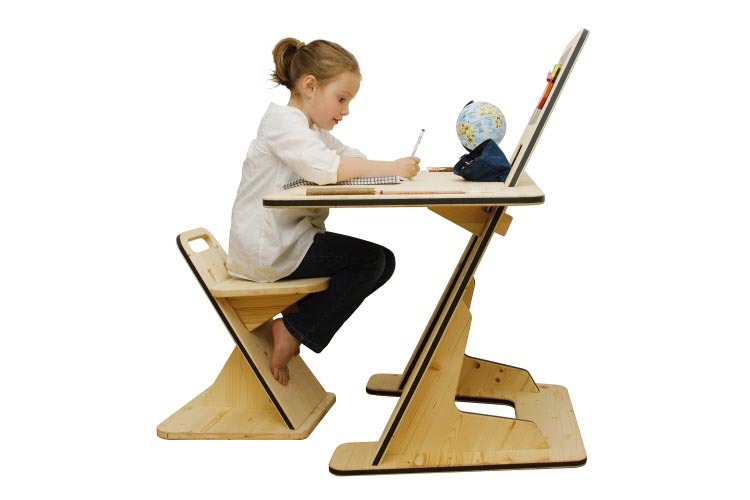 According to Bouvet, the desk can be customized for users from 4 years of age all the way up to 77 years of age!